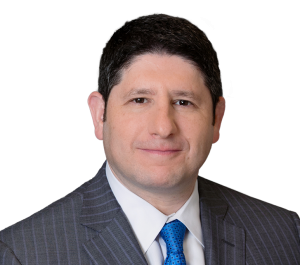 On the morning trial was to begin, attorneys Daniel S. Weinstock and Edward S. Goldis secured a $1.4 million settlement on behalf of a 44-year-old woman who had contracted meningitis as a result of contaminated food she ate during an all inclusive vacation. At the insistence of the defendants, the settlement agreement requires that the names of the parties be kept confidential. The case arose from a family vacation to an all inclusive resort in Jamaica during March 2001. The family ate all but one of their meals at the defendant resort. After returning to the Philadelphia area, the plaintiff developed headaches and muscular pains. She was ultimately diagnosed with eosinophilic meningitis, which caused her several months of debilitating lethargy, pain, and other neurologic problems. Although she ultimately did make a near-complete recovery, the plaintiff lost out on a potentially lucrative business opportunity as a result of her illness. Attorneys Weinstock and Goldis meticulously prepared the case for trial, and were posed to present compelling expert testimony linking the plaintiff’s meningitis to a parasite endemic to Jamaica (and not to the United States) called angiostrongylus cantonensis. At trial, the experts would have testified that the only way this parasite can be contained in prepared food is if the food was not properly cleaned or cooked. The most likely direct cause of the infection was either a snail, a piece of a snail, or snail feces, that had not been removed from a meal the plaintiff consumed during the trip.